Jennifer with her husband, Clayton, and son, Henry. Courtesy of Jennifer Pegher. 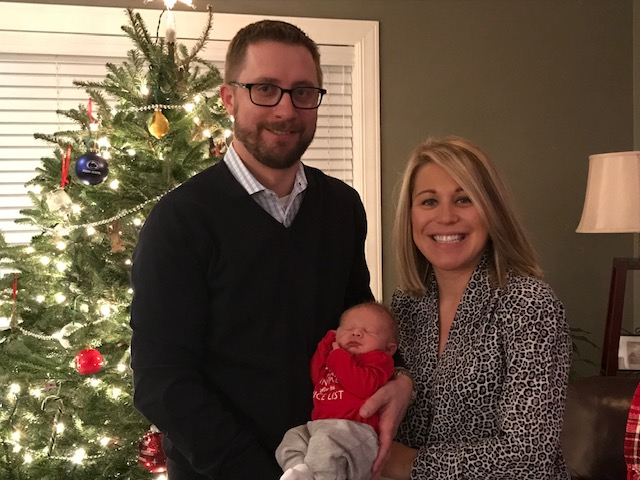 Four months after being named executive director of the Association of American Cancer Institutes (AACI) — headquartered in Oakland — and one month after giving birth to her son Henry, Jennifer Pegher chats with us about taking the reigns of her organization and why she finally decided to return to Pittsburgh. The South Park native, who lives with her family in Cranberry, previously worked in D.C. for former Congressman Philip S. English. My husband and I are baseball fans, so we always look forward to going to Pirates games. Our son was born last month, so it will be fun to get the newest Bucs fan to PNC Park. It is incredibly rewarding to work for an organization focused on enhancing the impact of North America’s 98 leading academic cancer centers. We provide a national platform for them to collaborate and improve access to treatment for patients with cancer. AACI has been bringing cancer centers together for 20 years. And when you bring the cancer community together progress is made — from former Vice President Joe Biden’s Cancer Moonshot to AACI initiatives that explore the potential of innovative treatment modalities, like CAR T-cell immunotherapy. It’s a truly exciting time for AACI and the cancer community at large. It’s an exciting time for me, too. My mentor, Barbara Duffy Stewart, retired in October after 19 years as AACI’s founding executive director and I’m eager to follow in her footsteps. 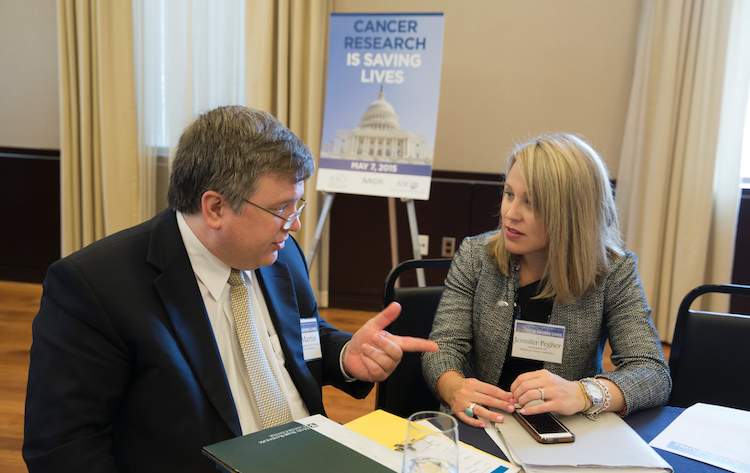 Jennifer talks with Cliff Martin, a participant at one of AACI’s advocacy days on Capitol Hill. Photo by Alan Lessig. A mass transit system from the north would be ideal. Growing up south of the city, we utilized the T to get Downtown for sporting events, to go to restaurants and bars or go to museums. I’ve also lived in Washington, D.C., and the Metro was the best way to get around. 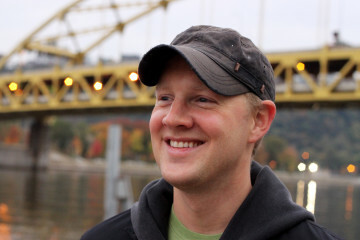 It would be great to have access to public transportation from the north — I know I’m not the only Pittsburgher who feels this way! 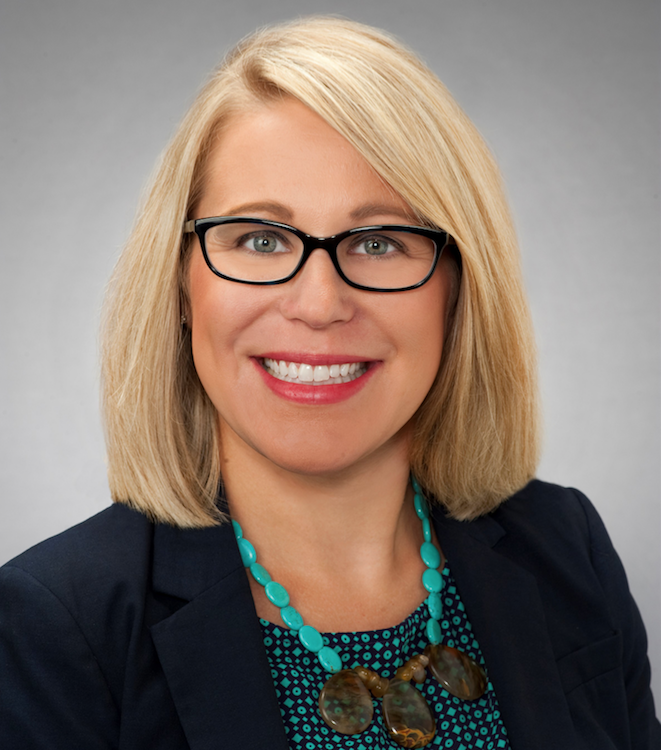 Jennifer Pegher, AACI executive director. Photo by Mark Bolster, UPMC Creative Services. When I left Pittsburgh for college, I vowed I would never move back. I had planned to live and work in Washington, D.C. for the rest of my life. My husband talked me into moving back in 2011 and I wouldn’t change a thing now. I’m proud of the city’s evolution: It really is a mecca for technology, health care and even food. Girls’ night in with my six best friends from childhood.